We're celebrating the upcoming LOVE holiday with something everyone loves... giveaways! 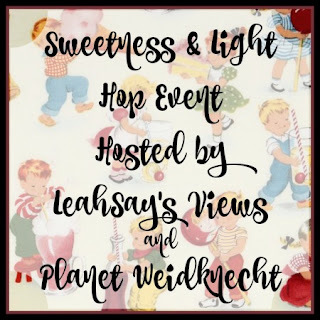 Be sure to hop around to all the bloggers involved in the Hop, including the two Grand Prize giveaways, in the linky below! 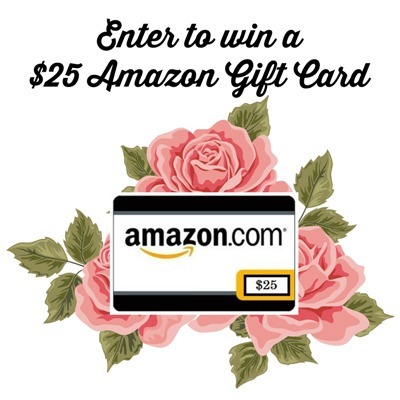 There are many wonderful Valentine's Day gifts available from Amazon.com! Check out some of these great gift ideas! To enter, just fill in the giveaway form below. Giveaway is open worldwide, ages 18 and up. 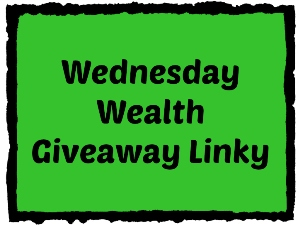 Giveaway ends on 2/14/2016. Good luck! for the Sweetness and Light Giveaway Hop! 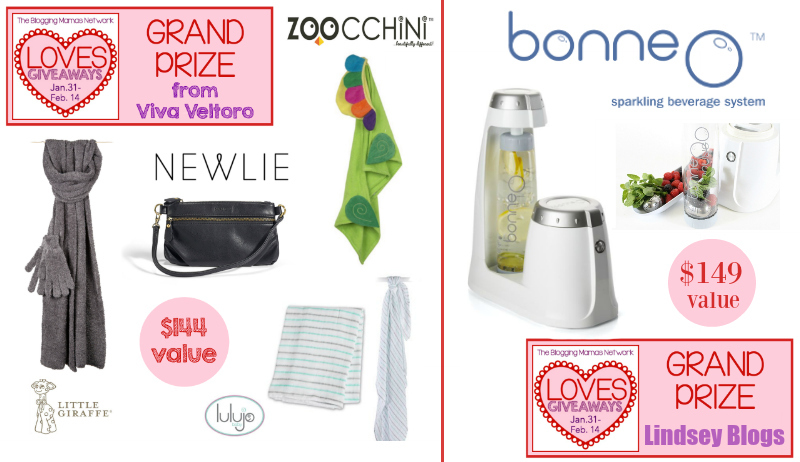 This giveaway hop event will run February 15th - February 29th, 2016. 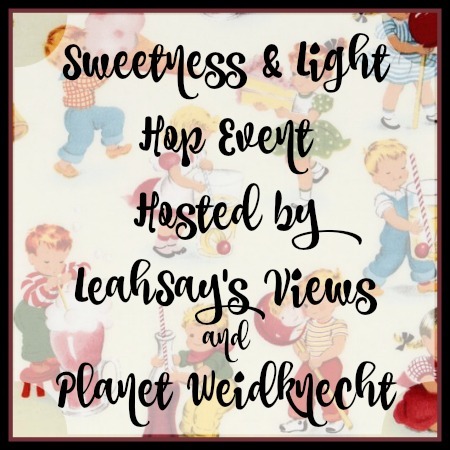 The Sweetness and Light Hop event is not "themed." Post your own dedicated giveaway for this event, from February 15, 2016, at 12:01 a.m. (one minute after midnight) until February 29, 2016, at 11:59 p.m. Everyone should set their post according to EST. 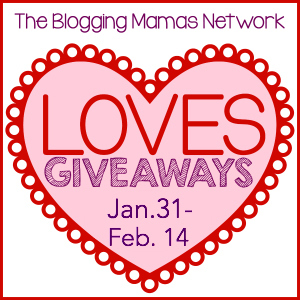 Blogs without a giveaway post live at 9:00 a.m. on February 15th with ALL requirements will be removed from the linky. Sign up closes on February 13, 2016. Giveaway Hop reminder and linky code will be provided at least one day before the hop begins, by email (make sure you double-check your email when signing up). Naturally restore the body’s pH levels: Lemons are alkaline-forming in the body and aid in restoring balance in a body’s pH levels. Fight infections and colds: The high content of vitamin C in lemons work to fight and prevent colds and infections. Liver detox: In addition to flushing out toxins throughout the body, lemons work to stimulate and detoxify the liver. Strengthen blood vessels: The bioflavonoid in lemons are handy for aiding in high blood pressure treatment because they can help strengthen blood vessels and prevent internal hemorrhage. Reduce inflammation and pain: A powerful and natural dissolvent of uric acid, lemons help to reduce pain and inflammation in the joints, helping to prevent inflammatory rheumatoid arthritis. Anti-aging benefit: The vitamin C in lemons helps it to neutralize free radicals, which are linked to aging and disease. Regulate digestion: Lemons can help regulate digestion by increasing the production of digestive juices. Potential anticancer properties: High in antioxidants, lemons are thought to protect cells from the formation of cancer cells and may also slow the growth of cancer cells. Lower cholesterol: Lemons are a good source of pectin, a soluble fiber that protects cardiovascular health. Prevent kidney stones: Consuming lemons can help raise citrate levels in urine, helping prevent the formation of future kidney stones, calcium deposits and gallstones. Squeeze lemon juice into your water and tea. Add lemon juice to your vegetable salad and fruit salad. Squeeze lemons onto your seafood and chicken meals. Make lemon cake or lemon bars. Make lemon juice/lime juice popsicles. Add lemon juice to rice dishes. And don't forget there are great ways to use a lemon peel too! Moms are always on-the-go and we need products that can keep up with our busy lifestyles. BUILT NY has dozens of fabulous bags and totes that moms are going to love! From handy wine totes and beer totes, to roomy market totes and city totes, BUILT NY sets itself apart with innovative designs created from insulated Neoprene. So much fuss is always made over kids' lunchboxes for school, but moms need and deserve their own fabulous lunchboxes! I received two of BUILT NY's lunch totes and they are unlike anything I've ever used. The insulated Neoprene is soft to the touch and the sturdy fabric lends a flexible shape to these roomy lunch totes. It's a material that can really stand up to lots of on-the-go use! This gorgeous floral lunchbox is one of their Gourmet Getaway Lunch Totes. It's just one of ten patterns/colors available for this fun style. The base of this lunch tote expands, allowing it to stand upright when it's filled with food and drinks, but it also folds flat for storage. The insulated Neoprene keeps food cool and fresh. It features a zipper with a darling chunky zipper pull. The interior is a bright, solid peach color that coordinates with the floral print. This lunch tote is super fun and incredibly functional! The Spicy Relish Lunch Tote has a similar shape, with the expandable base, but it has a few other features too. 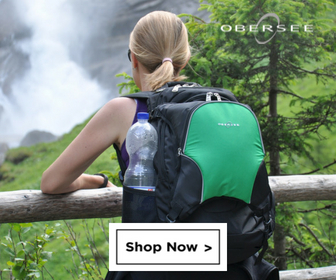 It comes with its own detachable, adjustable shoulder strap, so you can sling it over your shoulder or choose to carry it with the handles. It also folds flat for storage. It comes in seven stunning designs, from basic black to colorful polka dots. The interior of my black Spicy Relish Lunch Tote is a bright blue. It features a slightly different exterior stitching pattern and there's even a pocket inside. These lunch totes are so much better than a boring lunchbox or a brown paper bag! Moms are going to love taking their new Lunch Tote to work, school, picnics, and even on road trips! BUILT NY also offers Bento Sandwich Boxes and Bowls, Mini Snack Totes, Bike Messenger Lunch Bags, and many other fashionable bags to choose from. Be sure to check out their Paper Gift Bags to wrap mom's new gift! Shop BUILT NY at www.builtny.com. Moms (and single ladies, teens, and even kids) will love these Lunch Totes as much as I do! You can also follow BUILT NY on Facebook, Twitter, Pinterest, and Instagram to be first to hear about new products. I am so excited! 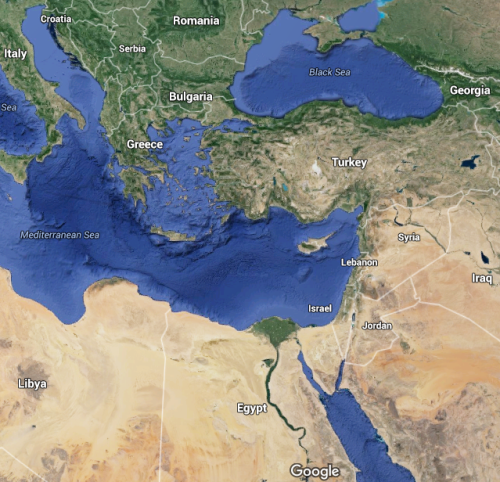 I've been invited by the Israel Ministry of Tourism to travel to the evangelical highlights across the country. In just a weeks, I'll be off on my grand adventure! Packing for an international trip requires extra research, since the customs are often different from what I'm accustomed to in America. I've put together a list of items I'll need for my journey and thought I'd share it with you. My trip will span eight days. If I've missed something that you know I'll need to pack, please list it in the comment section below. I will be trying to get everything into one carry-on suitcase on wheels (under 45" circumference and under 18 lbs. packed) and one smaller bag for easier airport navigation and to minimize my storage needs for the touring transportation. I will be wearing my RFID-blocking travel vest as well. My list below is for winter traveling. If you're traveling in the summer, you'll want to leave out the winter items and pack more summer-appropriate clothing (however, you should still take a jacket for cooler nights and higher elevations). Note: Do not pack tight-fitting clothes. Think modest and casual. but can be warmer or colder depending on latitude and altitude. Rainfall is common in winter, especially in the north. TRAVEL TIP: Instead of folding clothes, roll them before putting them in the suitcase and they won't wrinkle near as much. Where possible, use travel-sized products. Do you speak English? - Medaber Anglit? Where is the bathroom? - Eyfo ha-sherutim? If you want to be able to access your social media accounts when traveling internationally (without racking up expensive data plan costs), most devices will allow you to put your cell phone on Airplane Mode and still allow you to use a locally available Wifi service (such as a hotel or internet cafe that offers free Wifi to guests), if you go into settings and manually turn on the Wifi after putting your cell phone in Airplane Mode. If you absolutely need to make a phone call on your cell phone, simply turn your Airplane Mode off during the call. Be prepared for customs to go through everything in your suitcase. Also be prepared to answer questions about why you are entering the country. You'll need to fill out a declaration form when you leave. Read about my trip to Israel HERE. 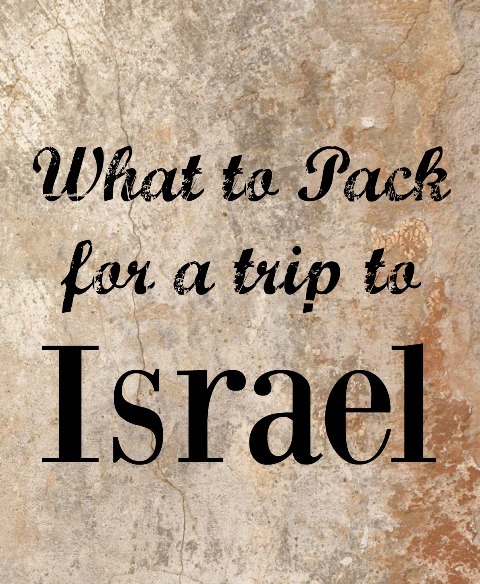 Want to travel to Israel? As much as I love the familiar comforts of home, I crave the excitement of traveling. It's so much fun to explore new places, to taste new foods, and to explore other cultures. Traveling expands both the mind and the soul. Much of my travel is within America, but I've also had the pleasure of visiting Cozumel, Mexico and the island of Nevis in the West Indies. 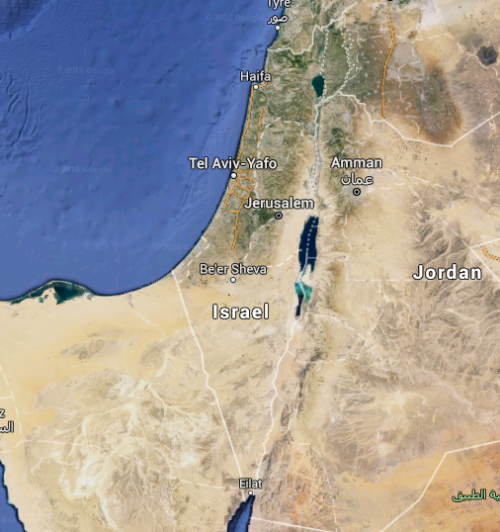 Next month, I'll be traveling to Israel to see the many evangelical highlights across the country. There is no better way for me to protect and organize my personal items than the SCOTTeVEST RFID-Blocking Travel Vest. Available for both men and women, the SCOTTeVEST RFID-Blocking Travel Vest is incredibly lightweight and offers a multitude of organizational pockets. 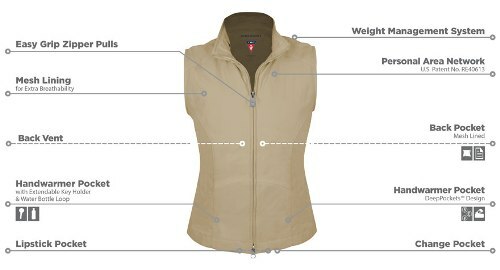 I have the women's travel vest in black (also available in gray, khaki, and red) and it features a whopping 18 pockets. The vest is masterfully designed so that I can carry my necessary travel items in a concealed fashion, and it also provides me with security. The SCOTTeVEST features a pocket with RFID-blocking technology, which protects my passport and credit cards from high-tech skimmers that can steal my personal identity. It is located inside the vest which also protects me from pickpockets. There are also pockets for my cell phone, my tablet, my travel documents, my camera, my id card, my eyeglasses, and so much more. Each pocket features an icon to help me get organized before I set out for each day's journey. My SCOTTeVEST even features an extendable key holder so I don't lose my keys, a water bottle loop to keep my drink upright in a pocket, and even loops to string my earbud cords through so I'm not spending time messing with tangled cords. There's even a pocket with a slipcase for a hotel key. The pockets feature easy-grip zippers or velcro closures to keep my items secure but easily accessible when I need them. The SCOTTeVEST Travel Vest is made of a very lightweight exterior fabric that is water-resistant, with a lightweight interior mesh layer that helps keep the vest breathable. Plus, it's machine washable! Having all my necessities ON me gives me greater peace of mind. I no longer have to carry a purse that can easily be snatched out of my hand, which also means I don't have to worry about where I'm setting down my purse when I'm eating or shooting photos. My hands are completely free and I know exactly where all my sensitive travel documents and expensive technology gadgets are. My SCOTTeVEST also looks great! I can wear it over any shirt and under any jacket or coat. Since it's so lightweight, I don't even notice the extra layer. To anyone else, I'm just wearing a vest. Can YOU tell I've got all my gear in my vest? I won't travel without my SCOTTeVEST. Of all the travel accessories available on the market, there isn't anything more valuable to own. I used to have to juggle a purse, a camera bag, and a backpack, plus my suitcase. Now I pack my clothes in a carry-on and everything else in my SCOTTeVEST. 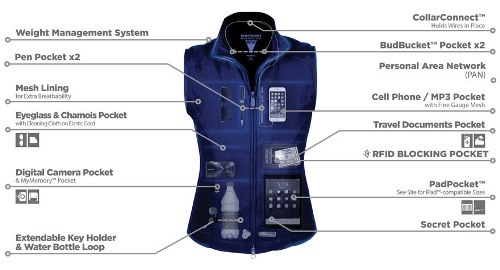 Get your SCOTTeVEST RFID-Blocking Travel Vest at www.scottevest.com! They also offer jackets, hoodies, pants, shirts, and more. If you ever leave your house, you NEED this vest! I love mine and give it my highest recommendation. Get yours today!